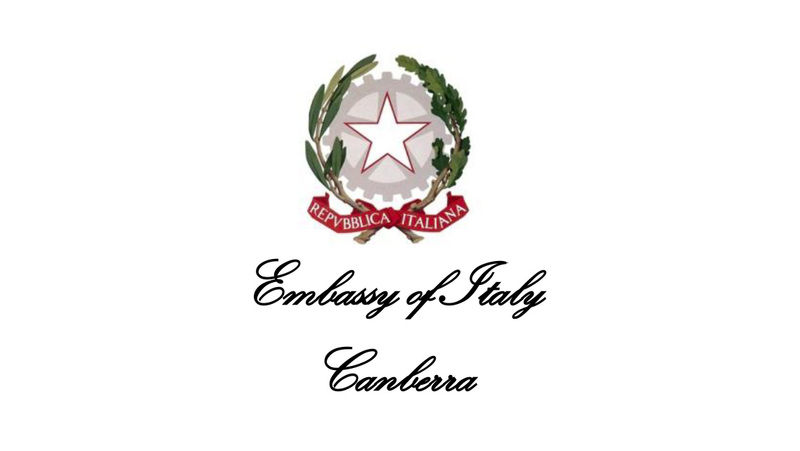 From the 18th to the 25th of November, the Embassy of Italy in Canberra, in collaboration with the Design Canberra Festival, the Committee of the Italians in Canberra, the Italian Chamber of Commerce and Industry and the Italian National Tourist Board, will host a series of events denominated “the week of the Italian way of living”. The week will be organised in collaboration with Italian companies operating in Australia and it will offer an overview of the Italian excellence in different fields, from arts and design to advanced technology and top quality food. The events will be enhanced by the participation of the award winning Chef Matteo Vigotti from the International School of Italian Cuisine ALMA, who will reimagine typical Italian products into culinary masterpieces. The initiative will also feature two maitres from Albergo Etico – a company awarded for its program of inclusion of people with disabilities – as waiting staff. The opening will be on Sunday 18th, with a public event named “The Living Room” organized in collaboration with Design Canberra Festival; guests will enjoy the works of two designers with Italian origins displayed in the suggestive living room of the Residence of the Ambassador of Italy. On the following day, the Residence will open its doors to a selected audience for a special talk between the iconic Italian architect Enrico Taglietti and the Italian artist Silvia Tuccimei. On the 23rd, an event dedicated to the Mediterranean Diet will walk the audience through the nutritional and environmental benefits of the diet that is becoming more and more popular around the world. An expert panel that includes two professors, a multi-awarded Chef and two doctors will provide insights on the practical, medical, nutritional and economic facts of a UNESCO Intangible Cultural Heritage of Humanity, the Mediterranean diet. The Embassy of Italy, in collaboration with the EU Delegation, will organize a “Geographical Indications Day” at the premises of the Italian Ambassador’s Residence on Saturday 24 November. The event will focus on the importance of the geographical origin on the quality and characteristics of the products and it will be composed of an initial discussion on the topic followed by a showcase and taste of typical regional products from European Union countries and from Australia. The week will conclude on Sunday 25 November with an open day at the Embassy of Italy. Visitors will be allowed in the beautiful Gardens of the Embassy, where some of the major Italian companies in Australia will show and offer their products and where the most beautiful Alfa Romeos from today and from the past will be on display. Great food will be on offer, thanks to the top Italian food companies and the Committee of the Italians in Canberra, that will prepare some of the most iconic Italian dishes and will offer some live entertainment. The doors of the Ambassador’s Residence will be open for guided tours, in which guests will have the chance to admire the beautiful interior design of the Residence and have a look at the 1st World War photos of the Vittorio Veneto exhibition.